Stephen Paletta has won the grand finale of Oprah’s Big Give. The show, which picked up 10 million viewers, featured a special appearance by Jennifer Aniston, who thanked each of the seven contestants for their work and awarded them their cash gifts of $10,000. But what followed took everyone by surprise. During the final show, the three finalists – Paletta, Cameron Johnson, and Brandi Milloy – worked as a team to pull off a final act of giving in Chicago. Stephen focused on the children of the Chicago Hope Academy, and organized a private performance by the Blue Man Group which raised $100,000 for the school. Meanwhile, Milloy put together a cooking class for children at the Shriners Hospital for Children, and Johnson followed suit and spent money he raised on books, toys, and DVDs for the hospital. 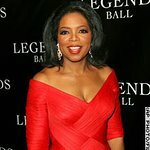 The eight 1-hour episodes of the show, conceived by Oprah Winfrey, featured 10 contestants using their good deeds to change lives and win cash. Paletta took home the $1 million prize for completing a giveaway challenge with zero funds, and will keep half the money and donate the rest to charity. The series has seen a number of stars take part, including John Travolta, Jada Pinkett Smith, Andre Agassi, and Tony Hawk, although it was a $1 million donation by Drew Barrymore in the first episode that gained the most attention. It is unknown whether there will be a second series of Oprah’s Big Give.